Edward Snowden has done enough to highlight how vulnerable electronic communications are to surveillance and Gmail users should not expect privacy from Google. Lavabit is no more. Silent Circle has shuttered its secure email service. A California watchdog group says that Gmail users now have a reason to pause before hitting “send”. California-based Consumer Watchdog, which claims Google made a “stunning admission” in a recent legal brief when the tech giant wrote that people should expect the contents of their emails to be perused. "Just as a sender of a letter to a business colleague cannot be surprised that the recipient's assistant opens the letter, people who use web-based email today cannot be surprised if their emails are processed by the recipient's [e-mail provider] in the course of delivery." the motion reads. "Indeed, 'a person has no legitimate expectation of privacy in information he voluntarily turns over to third parties." Noting that its Gmail service has more than 400 million users worldwide, Google says that it's able to offer the service free of charge because of the revenue it gets from advertising. In the court filing, Google's attorneys say that Gmail messages are processed in ways that are "completely automated and involve no human review." Google rejects the notion that it does not respect users' privacy. In a statement, Google defended its handling of Gmail users' email and privacy. "We take our users' privacy and security very seriously; recent reports claiming otherwise are simply untrue," Google said in a statement. "We have built industry-leading security and privacy features into Gmail -- and no matter who sends an email to a Gmail user, those protections apply." Google’s new Director Of Engineering, futurist Ray Kurzweil, told that he wants to build a search engine that knows what users want before they do. We know for a fact that Google is legally required to hand over the content of emails if they receive a court order. It's very much true that Google needs to do a better job of communicating and enforcing the steps it takes to protect its customers' privacy. 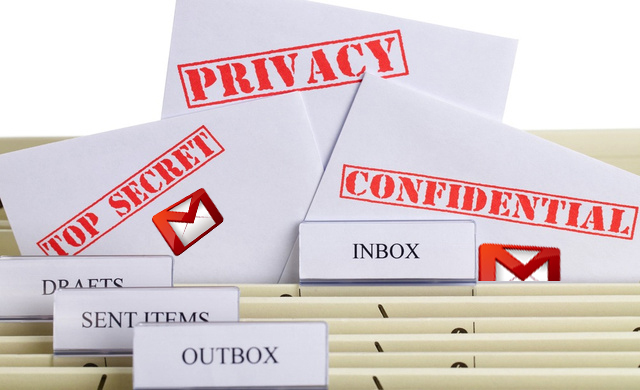 While encrypting your email may or may not protect you from a major government or someone with significant time and processing resources, it can definitely keep your data safe from people looking to hijack your accounts, reset passwords and then log in as you, steal financial data, or comb through your contacts looking for useful information about you for spear-phishing attacks.